4 star blood fuelled excitement. 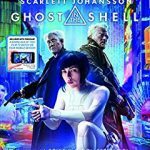 At long last the eagerly awaited live action adaptation of the best selling manga by Sui Ishida is coming to DVD the UK, courtesy of All The Anime. 5 stars for this fantastic adaptation to live action. 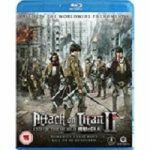 Attack on Titan: The Movie – Part 2: End of the World is adapted from the hit Manga series written and illustrated by Hajime Isayama and the hugely popular anime by Wit Studio and Production IG (Guilty Crown, Psycho Pass). Attack on Titan: The Movie – Part 1 is adapted from the hit Manga series written and illustrated by Hajime Isayama and the hugely popular anime by Wit Studio and Production IG (Guilty Crown, Psycho Pass). 4 stars for the dramatic conclusion to this bizarre yet compelling sci-fi story. Parasyte The Movie: Part 2 is the final part of the live action adaptation of the best selling Manga and hit anime series, Parasyte: The Maxim, written and illustrated by Hitoshi Iwaaki. This version is directed by Takashi Yamazaki (Parasyte The Movie: Part 1). 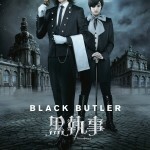 Today’s breaking news: happy days, the fabulous Black Butler has been made into a live action film! Hold onto your hats, the lovely Sebastian is coming! Based on the best-selling comic series written and illustrated by Yana Toboso, the long awaited live-action film “Black Butler” finally arrives in UK cinemas. 4 Stars where the pants are definitely on the outside.